Nothing is more fascinating than watching a new a star on the rise. Tabloids, gossip columns, and award shows clamor for new details of a nascent celebrity. Bradley Cooper’s directorial debut, “A Star is Born” illuminates audiences about the beginning and end of stardom, pulling no punches as it chronicles the story of two star-crossed celebrities. 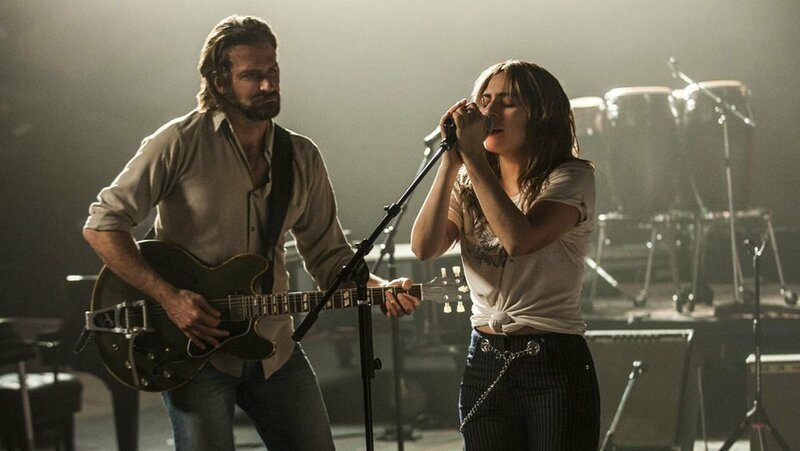 Bradley Cooper and Lady Gaga lead in this classic love story about two singers, one on the rise, the other declining from the spotlight, and the effect that fame has on their love. This age-old story has been told an astounding four times over the past eighty years, each remake speaking to its target generation in a way that’s uniquely its own. This iteration is no different, being the most intimate and personal of the four. Jackson Maine (Bradley Cooper) is a bonafide star. He is approached by fans wherever he goes and has an easy-going attitude about his notoriety. When he sees struggling waitress and singer, Ally, performing at a drag bar, Jackson is immediately infatuated. After hearing strands of Ally’s songs, Jackson is convinced that he’s with a hidden talent and decides to jumpstart her career. As the spotlight begins to beam on Ally and her blossoming talent, Jackson must deal with the fact that the curtain is falling on his own career. Alcohol, drugs, and jealousy dim their relationship and each must come to understand their new roles in the cultural sphere. Their love is passionate and dangerous, but sacrifices must be made as a star truly is born. Lady Gaga is the golden ticket for “A Star is Born.” She comes out from behind her enigmatic personality to portray the affable and sweet singer who is quickly becoming more and more famous. Her performance is layered and you feel like you get a behind the scenes look at life as a star. She portrays both the overwhelming excitement and crippling fear and doubt of someone who’s not used to being in the spotlight, and her character shows inspiring growth as she comes into her own. Bradley Cooper does an excellent job of both directing and starring in what is clearly his double bid for an Oscar. He plays the gravelly washed up singer with heart, and despite all the mistakes and pain that Jackson causes, his character is still one that is easy to root for. Despite the story of a star on the decline being far less interesting than the meteoric rise of Ally, Cooper plays the role of the lovable antihero for all its worth. Both stars nailed the intense vocal portions of their roles. Lady Gaga, of course, shined with several memorable numbers and her recognizable voice is one of this film’s greatest assets. Cooper surprises us all with a remarkably good voice that pairs well with Gaga’s. The two crackle with creative energy constantly, but never more than when they’re singing together. The camera work by Matthew Libatique feels up close and personal, almost like watching a documentary about real-life celebrities. It feels almost too close at times, making you want to back away from the pain the couple is going through, but Cooper and Libatique keep audiences close to the action which causes the pain and struggles of these characters to feel all the more tangible. Even though there is nothing new to this story, it sets itself apart from the previous versions. “A Star is Born” is intensely personal and often painful, but its brutal honesty and lifelike characters make it a winner. 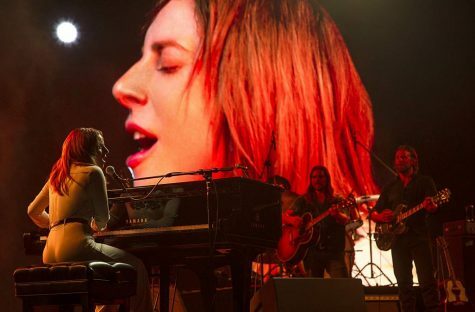 As awards season quickly approaches, “A Star is Born” seems destined for the history books.